Even though the Duke Blue Devils aren’t the #1 team in the country, some mainstream media outlets continue to treat them as though they are. 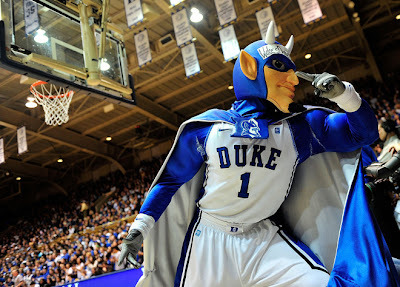 Last night the #4 Blue Devils routed the lowly Demon Deacons and Yahoo! 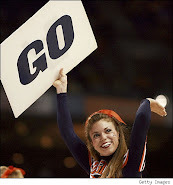 Sports included 34 photos of their rout. Conversly, the #15 Virginia Cavaliers crushed Georgia Tech, a victory worthy of 10 photos. #8 North Carolina got back on track in Blacksburg and the obviously pro-Duke editors at Yahoo! Sports deemed that effort worth three photos. Unranked N.C. State whipped up on BC and was rewarded with two images. While it makes sense that the highest ranked teams get the most ink (a policy we follow at T.A.H., see Clemson and Virginia Tech during football season and UNC and Duke during basketball season), is Duke ranked three times higher than Virginia and ten time higher that North Carolina? And before you say it, it has nothing to do with the geographic location of the event and the availability of photographers to AP, Getty or US Presswire. Durham, NC is hardly a media center. You know, satire, parody, humor that sort of thing.